Sri Lanka’s transitional justice system will not benefit any one particular group and certainly not target the armed forces, Foreign Minister Mangala Samaraweera said on Wednesday. Minister Mangala Samaraweera said in a statement here on Wednesday. propounded by former President Mahinda Rajapaksa that the government and the international community are in cahoots to persecute the Sri Lankan armed forces which liberated the country from the clutches of the LTTE. charges and a trumped up allegation that he tried to stage a coup. About Rajapaksa’s criticism that the Office of Missing Persons (OMP) is meant to fix the troops, Samaraweeera said that the families of more than 5000 missing military personnel and the families of missing policemen will also benefit from the OMP. The Minister said that Rajapaksa has no right to complain about the possibility of foreign involvement in the judicial mechanism when he himself had used them. established by him engaged foreigners invited by him, and also those nominated by Australia, Canada, the European Commission, the UK, Japan, the Netherlands, the USA, the Inter-Parliamentary Union, the Office of the High Commissioner for Human Rights (OHCHR), and a Cypriot nominated by the Government of Sri Lanka. 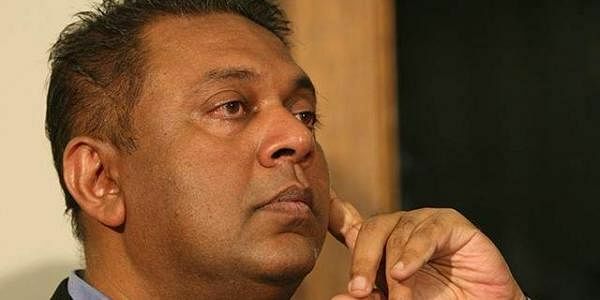 International prosecutors were also engaged in connection with the Paranagama Commission [on missing persons],” Samaraweera said. On Rajapaksa’s opposition to the move to replace the Prevention of Terrorism Act by a more humane one as per international standards, Samawraweera asked whether Rajapaksa thinks that Sri Lankans are not entitled to decent treatment while in custody. views of every section of society, he pointed out. have walls of fear and doubt that separate communities. Rather, it will be a bright, open and inclusive path that invites all to walk together side-by-side as equal citizens,” Samaraweera said.